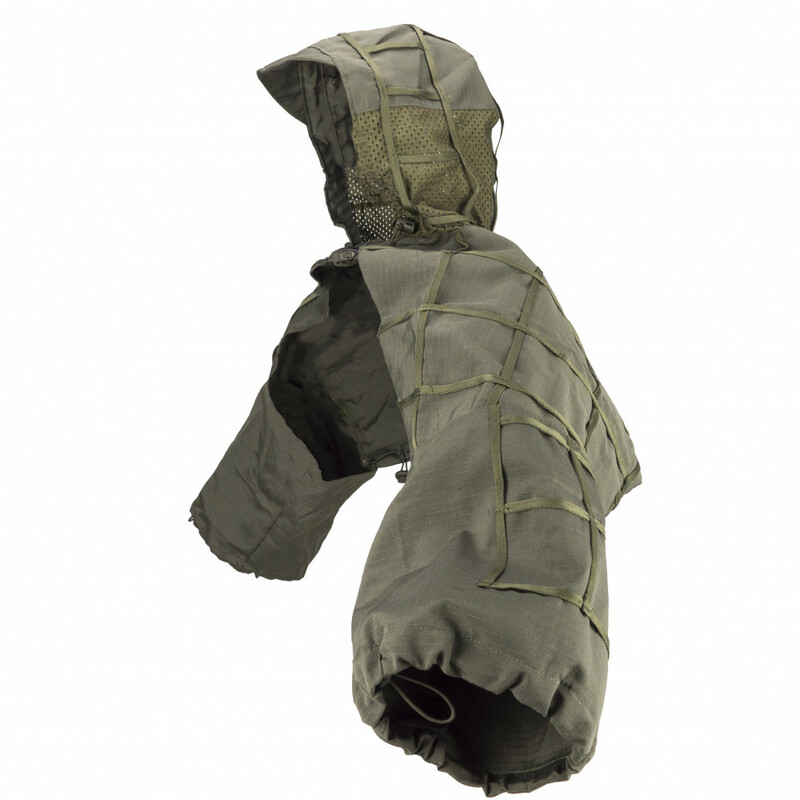 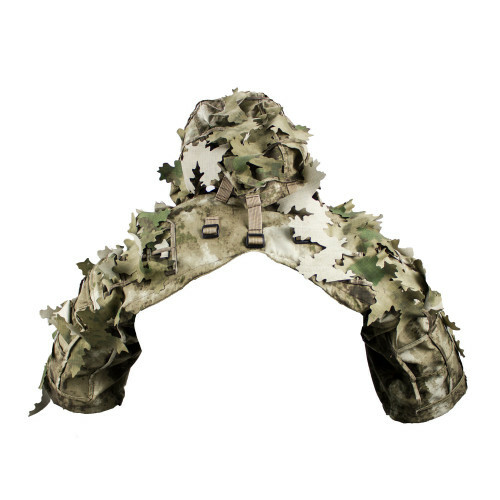 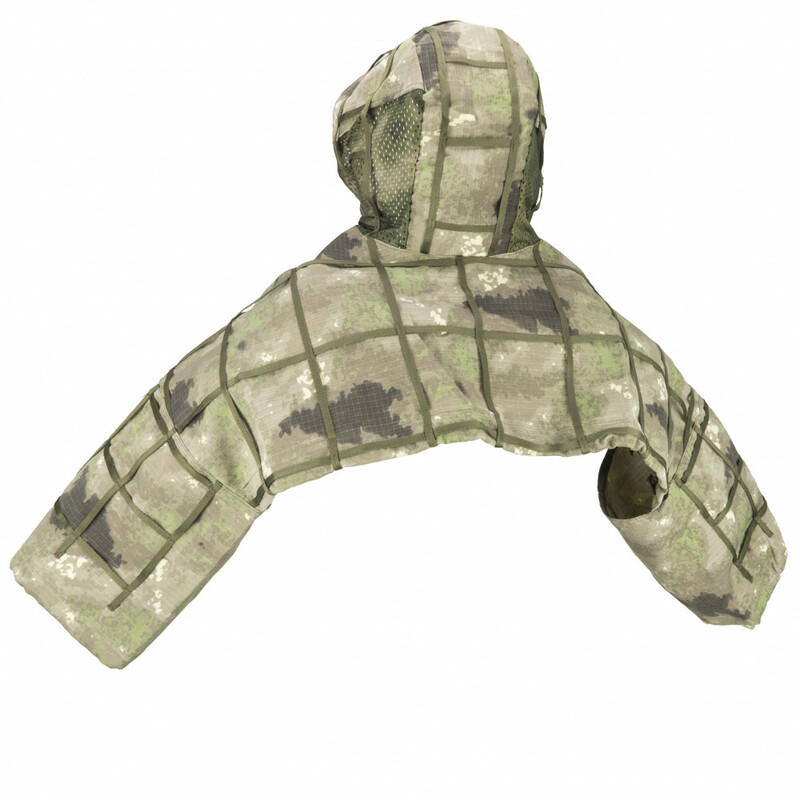 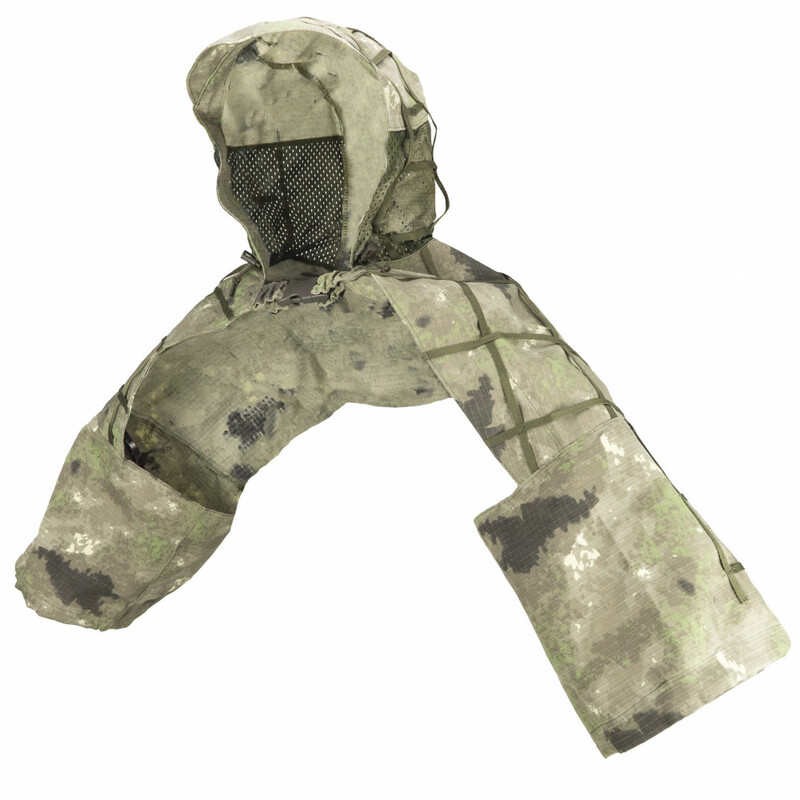 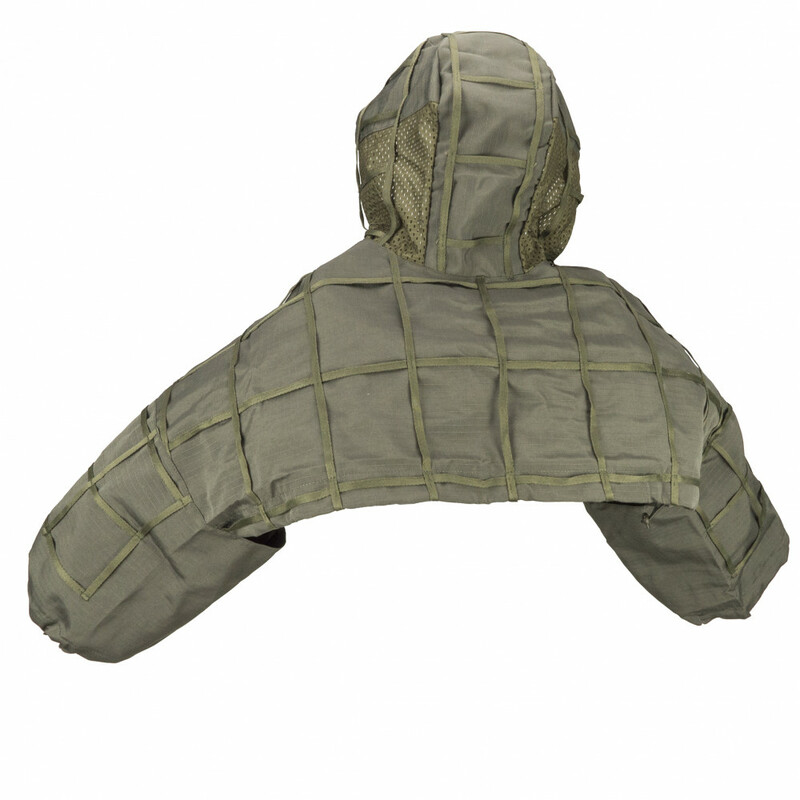 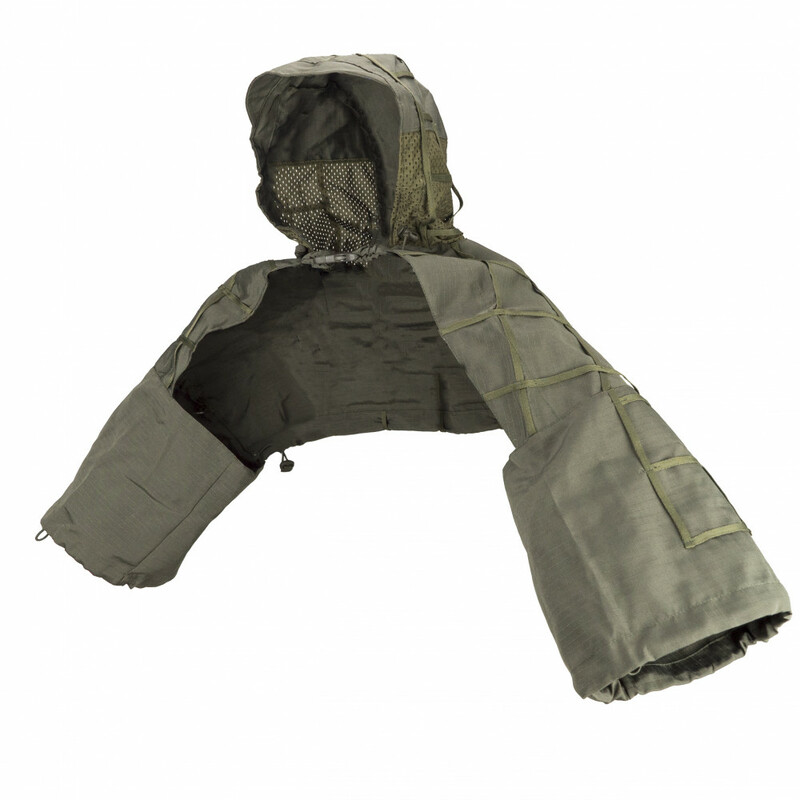 This is one of variations of Sniper Coat "Viperhood". 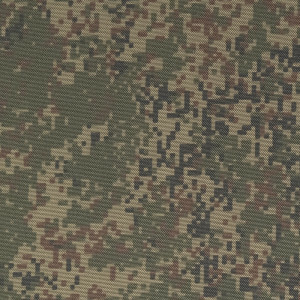 It's produced by Russian Company "East". 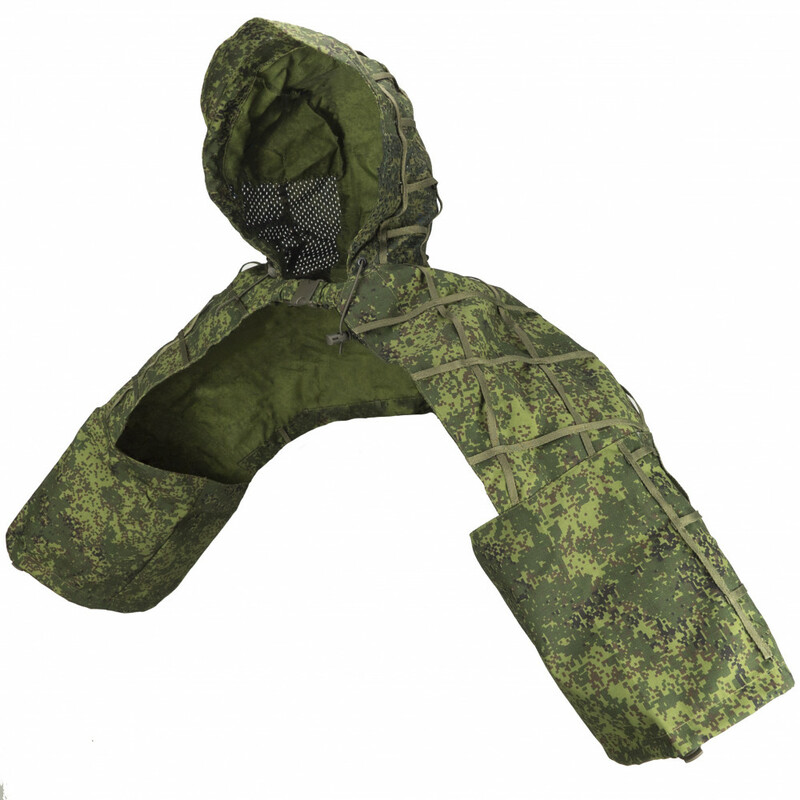 It's made from light fabric and have holes on the sides of hood. 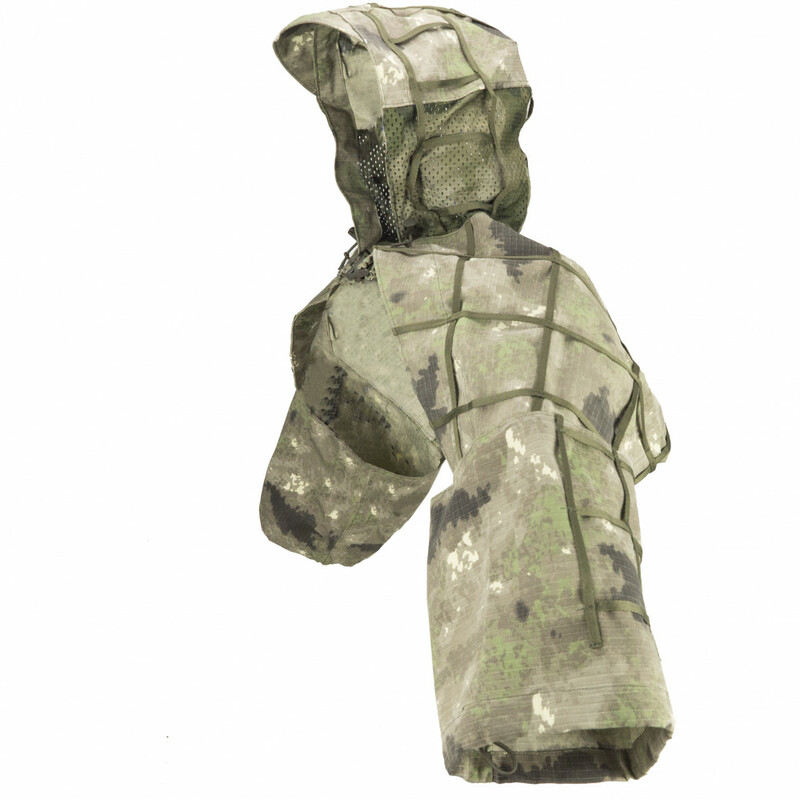 Main plus of this coat - it's price. 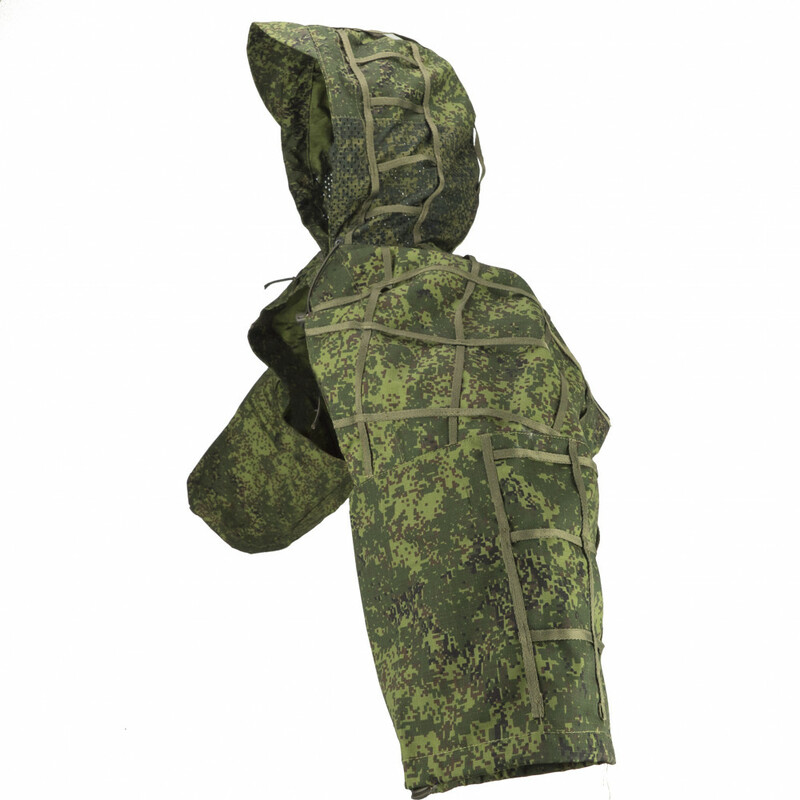 It's not very durable and don't provide best camo qualities, but if you are not sure, do you need Sniper Coat "Kapkan", you can buy this coat and test it. 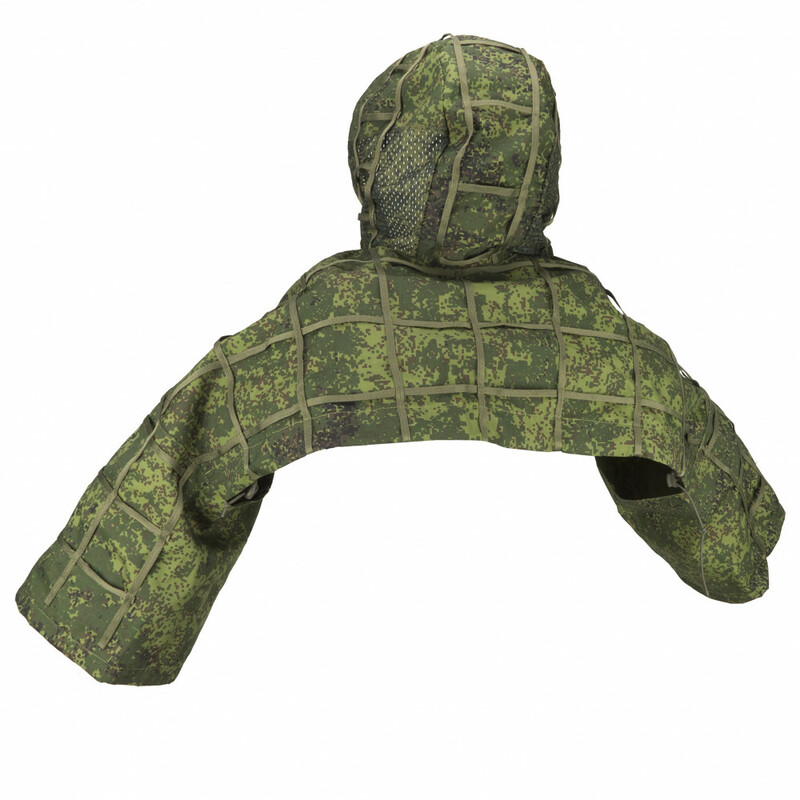 Don't forget camo leafs for you Viperhood suit! 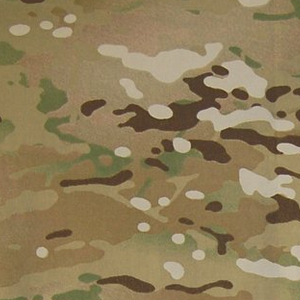 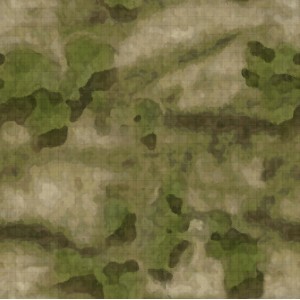 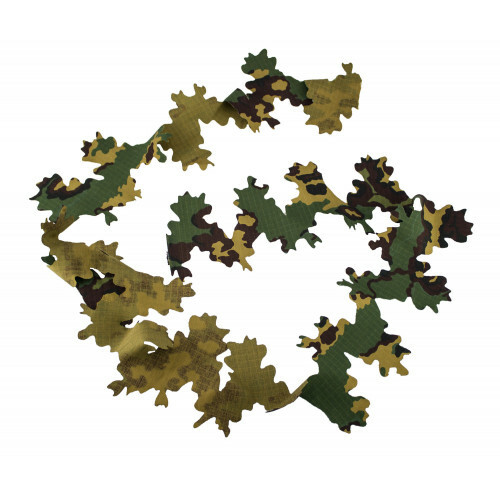 They will provide best camo qualities (buy them you can here).